Side & Face Mill Boxes are an excellent packaging solution for circular cutting tools. The clear boxes provide maximum visual impact combined with excellent graphic and labeling capabilities. 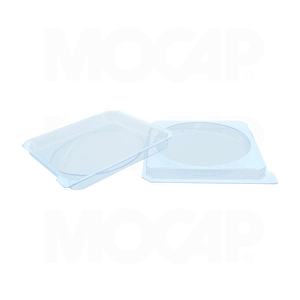 Custom designed packaging offers protection for all types of side and face mill cutters. Unique foam adaptor rings and foam spacers provide the perfect secure fit. Side & Face Mill Boxes are available in clear Poly Vinyl Chloride (PVC).